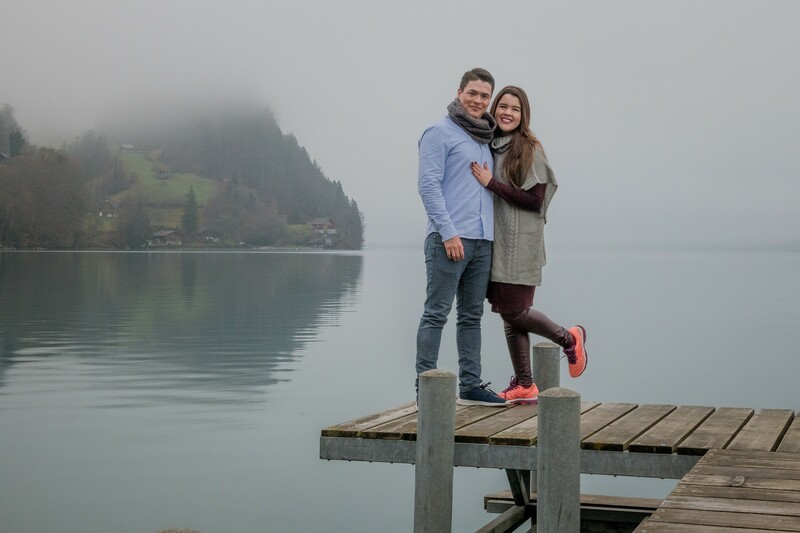 It was a cloudy day when Mauriano asked Karina to marry him. 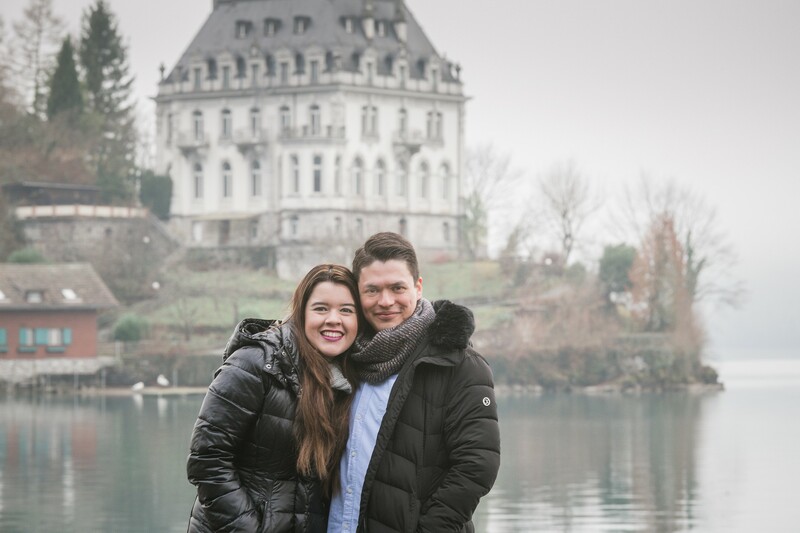 He had seen some locations on my website and chosen Iseltwald with the castle in the background. I gave him the instructions on where to meet. 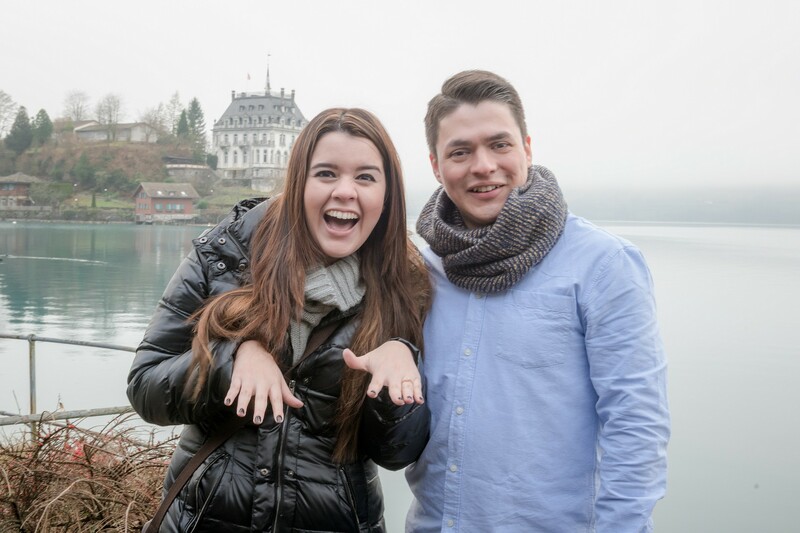 It was surprise for Laurin and I had to be “invisible” until after he had proposed to Lauren. Everything went to plan. Sean and Lauren arrived early. So did I. I walked ahead of them and managed to set up before they arrived at the location. The low cloud blocked out the mountains. I suggested a ride up the mountain and above the clouds. You can see the pictures in another report. 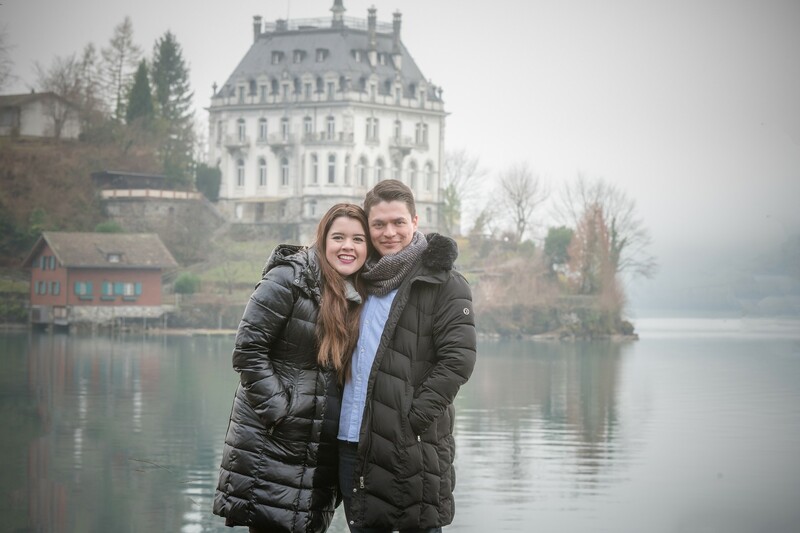 Mariano asks Karina to marry him in Iseltwald, a picturesque Swiss village on Lake Brienz near Interlaken. 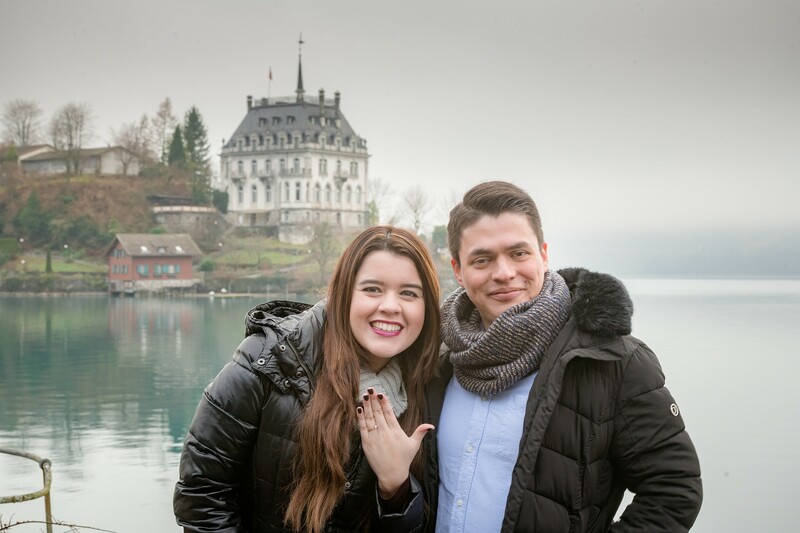 Mariano asks Karina to marry him in Iseltwald, a picturesque Swiss village on Brienz lake near Interlaken.